The last time Royal Enfield and Harris Performance were seen together was at the launch of their last product, the Continental GT, the chassis of which was designed by the British firm, then working as a technical partner. With the acquisition of Harris Performance, the British firm is now owned wholly by Eicher Motors Limited, the parent company of Royal Enfield, and all existing employees of the firm have now become Royal Enfield employees. Under the terms of the deal, Royal Enfield will acquire all assets, employees, trade names, technical know-how and intellectual property of Harris Performance Products Ltd. 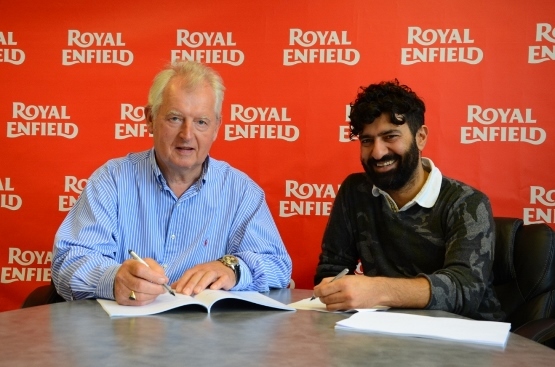 According to Royal Enfield CEO Siddhartha Lal, they will be part of Royal Enfield’s upcoming UK Tech Centre. Among the aforementioned new generation of products will probably be the new ‘Himalayan’ motorcycle, which has been spotted on test rounds. 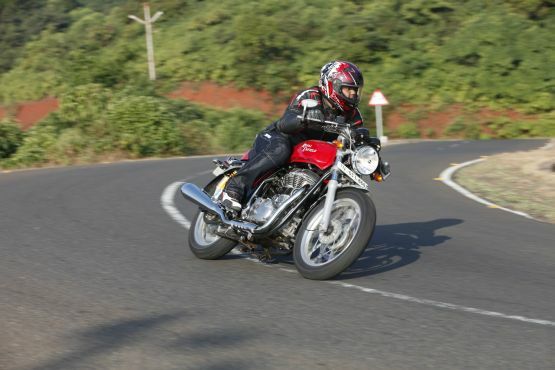 Speculation about the bike’s name reached a crescendo when it was discovered that Royal Enfield had recently applied for trademark for the ‘Himalayan’ name. The fact that the bike which has been spotted seems to belong to the adventure-touring genre has lent further credence to the speculation. Considering that all their engines are built on the same base, with a constant 90-mm stroke – the 350 uses a 70-mm bore, the 500 an 84-mm, and the 535 an 87-mm – it seems likely that the new engine for the Himalayan will use a larger bore than the 350, to displace about 400-410 cc. In that case, expect output figures in the region of 23 PS and 33 Nm, should the company stick to the carburetted, twin-spark layout. The new bike is the company’s response to the demands by adventurers, especially those who frequent the challenging north among other regions, and require not just reliability, but also long range and options for packing more luggage. Meanwhile, of the ‘platforms’ mentioned by Lal, sources say there are two engine platforms already in development: one for a 250-cc single and the other a 600-750-cc parallel twin.